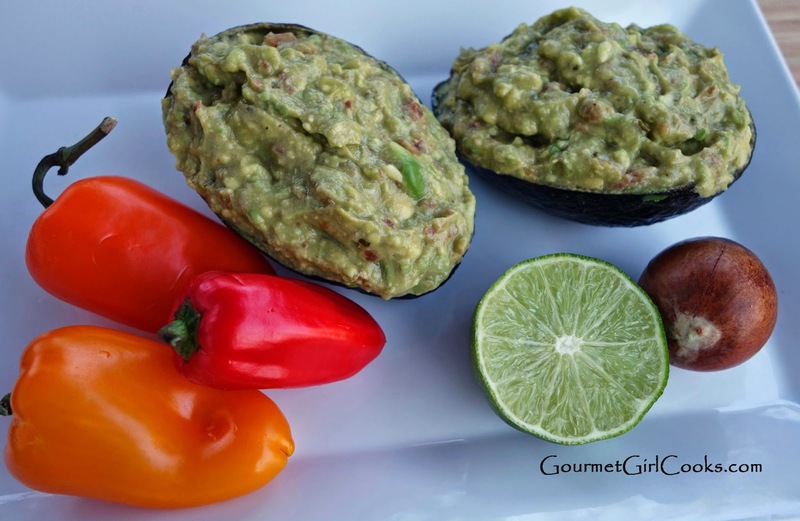 Gourmet Girl Cooks: Holy Moly Guacamole -- Quick, Fresh & Easy! Today hubby and I both took off from work to tackle projects around the house. It was a gorgeous, bright and beautiful day (except for the crazy pollen). This afternoon we went and purchased a new gas grill -- our CharBroil grill just didn't last the way we had hoped it would so we decided to really shop around and do our research before purchasing another one. So, we finally bit the bullet and bought a new Weber gas grill -- we looked at others but kept coming back to Weber. I'm so excited -- it has a special sear station burner on it which I'm looking forward to using. It's supposed to be delivered Saturday, so hopefully hubby will get it put together so we can grill dinner on it Saturday or Sunday (or both). This evening I had plenty of leftover Grilled Beef Fajitas w/ Chipotle Lime Marinade left from last night's dinner...so I simply needed to reheat our dinner. I enjoyed a nice "side" of my delicious guacamole along with my fajitas. I ate it "as is" (like mashed potatoes)...LOL. Tomorrow I'm going to make some crackers to dip in the rest of it. I snapped a few photos below of my simple guacamole. 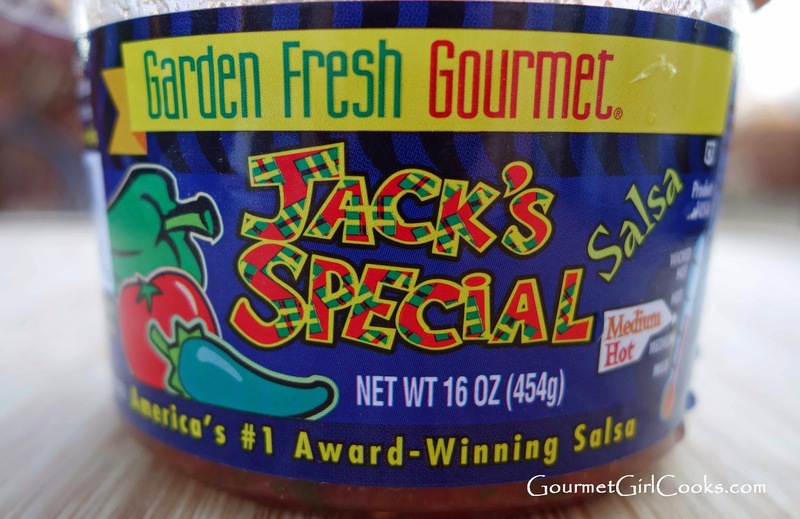 I added some fresh salsa (sold in the refrigerated section of the grocery store). 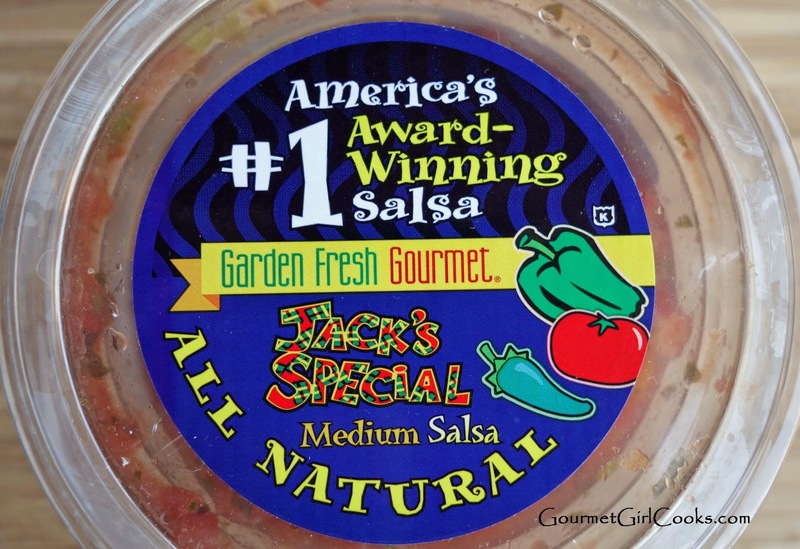 My favorite fresh salsa is Jack's Salsa (medium-hot) by Garden Fresh Gourmet. I also added lime juice (for both flavor and to keep the avocado nice and green) and I also added ground ancho chile pepper for some smoky spiciness. It was absolutely delicious. In the recipe below, I included the amounts that I used based on my taste -- but I would suggest you make it and taste it as you go. It's so easy and so good. Enjoy! Slice avocados in half and remove seed. Scoop flesh out into a small bowl and mash with a fork to desired consistency. 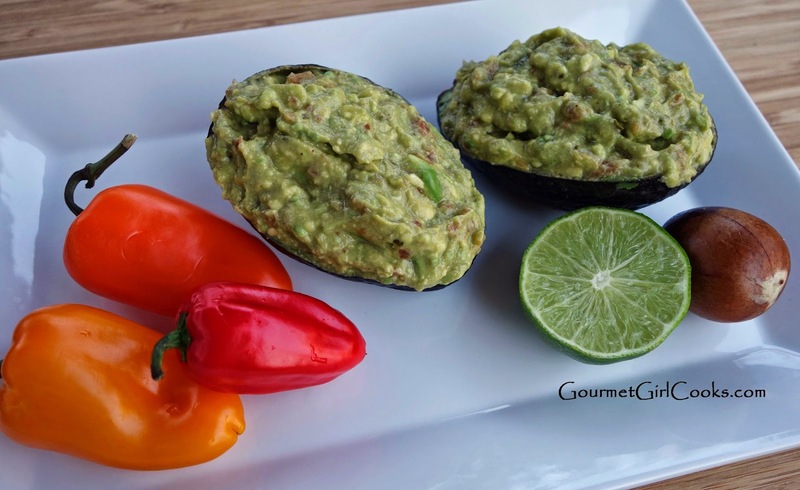 Squeeze lime juice over mashed avocado and stir in salsa; season with salt. Add a couple dashes ground ancho chile pepper and stir until combined.